ChildrenIt is essential to protect children by making sure they have a full programme of immunisation. There is a computerised call-up system and most children will receive an appointment through the post at the right time. If, for any reason, you cannot keep this appointment, please contact the Medical Centre and arrange an alternative appointment. If your child is overdue an injection, please contact the Nurse. The Nurse holds an immunisation clinic every Tuesday afternoon, 2.00 to 5.10pm. 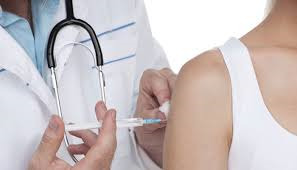 Each year in October/November a programme of influenza vaccination is carried out at the Medical Centre and it is strongly recommended that patients at greatest risk, ie. those over 65 years of age, diabetics, asthmatics and those with a history of heart disease take advantage of this vaccination. This year 2013 children between the age of 2-3 during the Influenza vaccination season are being offered immunisation via a nasal route, please ask our practice nurses if you require more information.